Office hours: Mon 11:30-50 & Tue 15:15-50 for the Spring 2019 semester. Usable security with respect to both end-user and advanced users (e.g., developers or admins). Our work in the second domain appears as the paper Why Johnny the Developer Can't Work with Public Key Certificates: An Experimental Study of OpenSSL Usability at RSA Cryptographers' Track 2018. Work in the first domain brought interesting findings like Experimental large-scale review of attractors for detection of potentially unwanted applications in Computers & Security or A large-scale comparative study of beta testers and standard users in the Communications of the ACM or the paper "Codes v. People: A comparative usability study of two password recovery mechanisms" at WISTP 2016, and our paper "On the impact of warning interfaces for enabling the detection of Potentially Unwanted Applications" was presented at the 2016 European Workshop on Usable Security, and our paper The Challenge of Increasing Safe Response of Antivirus Software Users at MEMICS 2015. Analyzing outputs of crypto primites, where we analyze outputs of various crypto primitives for their properties, primarily statistical ones. Our recent results published as The Return of Coppersmiths Attack: Practical Factorization of Widely Used RSA Moduli (ROCA) received the Real-World Impact Award at the 2017 ACM CCS conference. Measuring Popularity of Cryptographic Libraries in Internet-Wide Scans was presented at ACSAC 2017. Prior to that we published our RSA key fingerprinting findings as The Million-Key Question  Investigating the Origins of RSA Public Keys won the best paper award at Usenix Security 2016. Check the previous link for additional resources to this paper, including an online key classification tool. Our work also includes examinations of statistical tests as such, involving also significant speed-up of NIST STS and interpretation of the tests. Most recent improvements are described (and algorithms provided) in Evolving boolean functions for fast and efficient randomness testing (paper at ACM GECCO 2018) and in Optimizing the NIST Statistical Test Suite and the Berlekamp-Massey Algorithm. Our webpage on Faster randomness testing shows some papers on both the speed-ups and also on the interpretation of results. Our paper Constructing empirical tests of randomness (presented at SECRYPT 2014) shows some results for the eSTREAM candidates and other results are shown in the paper Determining Cryptographic Distinguishers for eStream and SHA-3 Candidate Functions with Evolutionary Circuits (extended version of our SECRYPT 2013 paper). Security of random number generation with our work Towards True Random Number Generation in Mobile Environments from NordSec 2009 (paper download), and earlier work with more experimental results appeared in paper The Sources of Randomness in Mobile Devices, NordSec 2007 (paper download). Security of wireless sensor networks, with focus on security protocols, intrusion detection and also privacy. Here we recently found very interesting interplay between secrecy amplification and key derived from signal properties, with some protocols from this area published in Adaptive Secrecy Amplification with Radio Channel Key Extraction and in Entropy Crowdsourcing  Protocols for Link Key Updates in Wireless Sensor Networks. We focus on examination of various attacker approaches and models, see the extended version of our CANS 2016 paper Attackers in Wireless Sensor Networks Will Be Neither Random nor Jumping - Secrecy Amplification Case. We also presented very interesting protocol designs for secrecy amplification in wireless sensor networks in our paper On Secrecy Amplification Protocols presented at the 9th WISTP International Conference on Information Security Theory and Practice (WISTP2015). "Improving Intrusion Detection Systems for Wireless Sensor Networks" is our proposal of a framework for IDS parameter setting in wireless sensor networks, presented at ACNS 2014. Conflicts between Intrusion Detection and Privacy Mechanisms for Wireless Sensor Networks is our article in IEEE Security & Privacy 11.5 (2013), "An Adaptive Security Architecture for Location Privacy Sensitive Sensor Network Applications" is our design presented in a paper at LightSec 2013 - Lightweight Cryptography for Security and Privacy. "Multi-Objective Optimization of Intrusion Detection Systems for Wireless Sensor Networks" was presented at the 12th European Conference on Artificial Life (ECAL 2013). Related starting discussion of issues in the area of privacy and IDSs in WSNs can be found in our paper Attack detection vs. privacy - How to find the link or how to hide it?, presented at the 2011 Security Protocols Workshop. "Two Improvements of Random Key Predistribution for Wireless Sensor Networks" was presented at the 8th International Conference on Security and Privacy in Communication Networks (SecureComm 2012); "Evolutionary Design of Message Efficient Secrecy Amplification Protocols" then was our work presented at 15th European Conference on Genetic Programming (EuroGP 2012); and "On the Credibility of Wireless Sensor Network Simulations: Evaluation of Intrusion Detection System" work presented at SIMUTools 2012. Our work on neighbour-based intrusion detection for wireless sensor setworks, partly presented at the Sixth International Conference on Wireless and Mobile Communications (ICWMC) 2010 in Valencia, Spain, is available as the technical report FIMU-RS-2010-04. Our work on Secrecy Amplification Protocols for Wireless Sensor Networks appeared at the ACM WiSec 2009, and other results came out in a book chapter in From Problem to Solution: Wireless Sensor Networks Security by Nova Publishers. Some of the work on group support for authenticated key exchange and on secrecy amplification is in the technical report FIMU-RS-2007-05. Full Disk Encryption with Crypto Data Integrity, where our work with Milan Broz and others is published as a an arXiv technical report or in a shorter version at IFIP SEC 2018 paper that won the best student paper award. Our implementation has been included in the Linux kernel since the version 4.12.
International Journal of Information Security (Springer) and Infocommunications Journal, where I'm member of the Editorial Boards. Applied Cryptography (PV079 - in English). Seminar on Information Technology Security (PA018 - in English). Postgraduate Seminar on IT Security and Cryptography (PA168 - in English). Securing Data and Privacy (PV080 - taught in Czech - Ochrana dat a informacniho soukromi). Authentication and Access Control (PV157 - taught in Czech - Autentizace a rizeni pristupu). More information on these courses can be found through the university webpages on my courses, and our centre at FI. Information for our students inquiring about supervision, support, etc. can be found at this page. I supervise PhD students Milan Broz, Adam Janovsky, Lukas Nemec, Matus Nemec, Dusan Klinec, Radim Ostadal, Vladimir Sedlacek, Vlasta Stavova, Martin Ukrop, and I had the pleasure to supervise PhD graduates Vit Bukac, Filip Jurnecka, Jan (Honza) Krhovjak, Marek Kumpost, Jiri Kur, Martin Stehlik, Andriy Stetsko, Petr Svenda. Examining certain Denial of Service attacks, where we analyzed the threat of DDoS-for-hire services to low and medium power cloud-based servers or home users, investigating popularity and availability of such services, their payment models, subscription pricing, complexity of the generated attack traffic and performance. Our paper Service in denial  clouds going with the winds was presented at the Network and System Security 2015. Our paper Analyzing traffic features of common standalone DoS attack tools came with a comparative analysis of traffic features of DoS attacks that were generated by state-of-the-art standalone DoS attack tools. We provide a classification of different attack traffic features, including utilized evasion techniques and encountered anomalies. We also proposed a new research direction for the detection of DoS attacks at the source end, based on repeated attack patterns recognition. Study of biometric authentication systems. 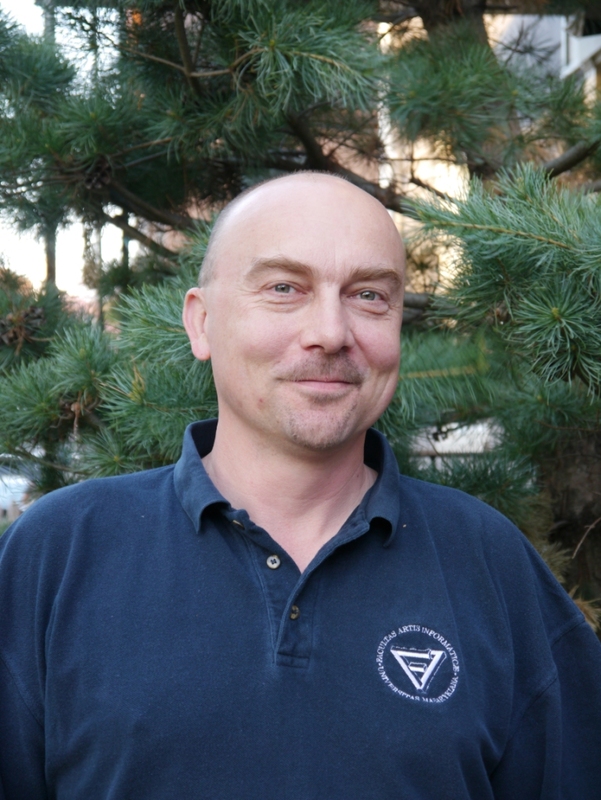 A full version of a paper written with Zdenek Riha and presented at the Computer Information Systems and Industrial Management Applications 2010 conference, is available as the technical report FIMU-RS-2010-07. We have a book on biometric authentication (in Czech), where I took care of co-editing (and writing up some) chapters. An older summary paper reviewing major security and usability issues of biometric authentication systems was presented at the Communications and Multimedia Security Conference, summary of trends and visions was presented at the Information Security Summit 2002, and few other papers presented at other conferences. A good summarizing article Toward Reliable User Authentication through Biometrics appeared in IEEE Security & Privacy and an introductory technical report written also with Zdenek Riha is also available. Shouldersurfing attacks, namely in relation to the Chip&PIN card payment authorisation. We conducted an intensive study to compare the (in)security of signature- vs. PINpad-based payment authorisation by customers. More results came out in an IEEE Computer article, results from the first round of our experiments are available either as old slides or drafted lecture notes (final version can be found in the proceedings of 2005 Cambridge Workshop on Security Protocols). 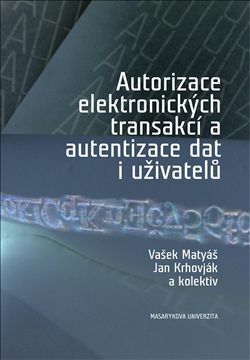 A book on these and related issues on authentication and authorization is available in Czech. Information privacy, where we undertook another privacy valuation experiment, results from which are prepared for a publication, following the attention of both expert and general public that has been drawn to our Value of Location Privacy paper (copyright ACM, presented at WPES 2006). This work has been undertaken in the framework of activities around the FIDIS Network of Excellence. Earlier on, we also examined ways to model the state of privacy in a given system - and possibly to use this model for evaluating various aspects of privacy. We started with a critical review of the older Common Criteria approach, provided for additional definitions of unlinkability and also refined the approach, revising also the Freiburg Privacy Diamond work of Alf Zugenmeier et al. Preliminary results of our work are in contributions to the Privacy and Security workshops of Ubicomp 2004 and Fourth IEEE International Conference on Data Mining, and the underlying considerations were presented at the Cambridge Workshop on Security Protocols. In my earlier work in this area, I also worked on analysing and reporting doctor-level prescribing information in the Xponent project with IMS Health. A paper (draft of which is available here) for Healthcare Informatics Journal 4.3-4 outlines some of the issues. Yet older work involves participation in drafting the Privacy Class of the Common Criteria, and also work relevant to the Canadian privacy scene that was presented as the Technical Report "Information Privacy in Canada (Legislation in the Face of Changing Technologies)", TR-246, School of Computer Science, Carleton University. The Global Internet Trust Register published by MIT Press in March 1999 contains the fingerprints of many important public keys used throughout the world, and you can read more on the effort here. IT Security Terminology, of course with focus on the Czech language. A part of this effort is oriented towards "English-Czech Terminology of IT Security" - a dictionary with Czech explanatory notes, published by the Computer Press, s.r.o. Praha 1996. Second issue is now on the horizon. Security Evaluation Criteria where did some work on the Communication and Privacy Classes for the Common Criteria v0.9 in cooperation with the Canadian Communications Security Establishment. Just in case you met me during my 2017 sabbaticals with Red Hat Czech and CyLab, Carnegie Mellon University, or in 2011/12 as a Fulbright-Masaryk Visiting Scholar at the Center for Research on Computation and Society (CRCS), Harvard University, or in 2003/04 either as a Visiting Researcher with Microsoft Research Cambridge, or a Visiting Lecturer with University College Dublin, Department of Computer Science, then yes, it is me. :-) And again thanks to all these institutions, their employees, and other visitors at the time for their kind hospitality and/or inspiring discussions. Last update: Feb 15, 2019.